Celyn/Digger, a thief in the city of Gerse, has managed to escape from the Greenmen and be taken in as a maid to a noble family. Unfortunately, someone there learns her past and uses it against her. 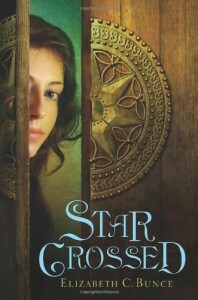 In order to stay at Bryn Shaer she must collect secrets and build a case against the people she's come to trust so that they can be turned over to the King as traitors. I really enjoyed this story and am glad it continues. The characters were great and the story was pretty intricate.